Repair or replace anything is usually a costly yet essential question that most companies find themselves asking. It would not make sense to use almost half the money you initially spent on installing a network to replace it, without any guarantee it will be worth. 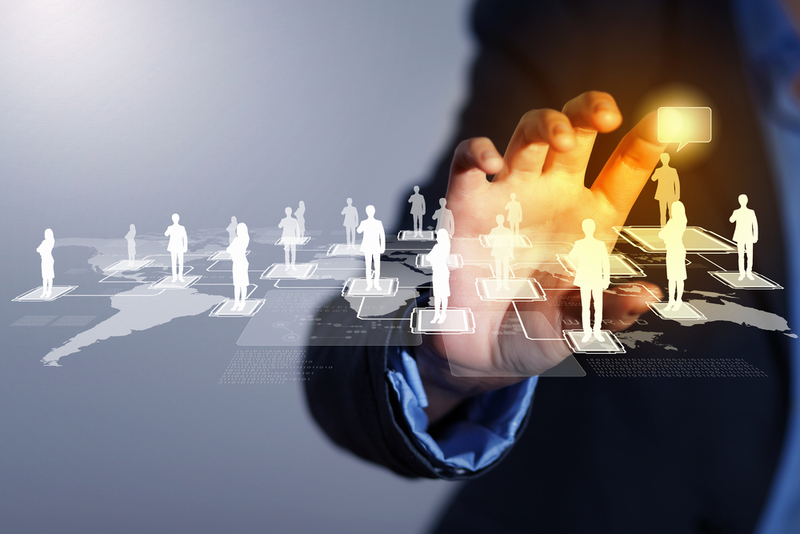 It is for this reason that most companies seek to outsource the IT services altogether. It sounds easy right! It is, but numerous risks come with having a third party provider. Hence, SJC Technology Inc offers solutions convenient to our clients. The first is making sure you are working with the right service provider that is properly vetted and is well equipped to handle the security, resources and the strategic planning your company needs. That is why SJC Technology Inc. is the perfect company to manage your IT services. Founded in 2009, we have had years of experience. The primary focus is always to put technology within the clients’ control. This is as opposed to other third-party providers who deny their client direct control of the IT and the location of their data center. Outsourcing is cheaper and convenient when working with SJC Technology Inc. because they will maintain your old Network regularly at an affordable monthly cost. This cost will include monitoring of your old office Network and resolve network issues. Below are some advantages of outsourcing with SJC Technology Inc.
• Saves on Costs Effectively: This includes maintenance costs, labor costs, and equipment costs. With outsourcing, you will get all the above in one package and at a significantly lower cost. It will also save money because there will be no need to replace the Old office Network. • Quality and Experience: Just like in medicine, IT faces recurrent problems, and this is where experience will beat qualification any time. Our Experts at SJC are qualified and experienced too. They are therefore the right people to trust with your sensitive company data. • Increases Competitiveness and Efficiency: Outsourcing reduces the time for hiring qualified IT staff as well as installation and maintenance. These give the company time to increase productivity, develop as a business and improve competitiveness. • Ability to Quickly Implement New Technology; which would otherwise take months or weeks to find a team, train them and provide support to the internal team. SJC would bring years of experience in repairing and upgrading the Old Office Network and save time and money in the process. • Manage and Reduce risk for your company: With the experience, they bring to the table, SJC Technology Inc. is better positioned to identify and decide how to avoid IT-related risks. We will determine the risk and manage it for you. It includes updating your firewall, installing a DMZ and audit workstations and servers to ensure all security risks are eliminated. •They give a level competitive ground for smaller companies who cannot afford the services and in-house support that big firms enjoy by providing similar services and Technology. The incidents of natural disasters every year remind us of the vulnerability of our businesses or personal records to monumental data loss. Natural disasters like floods, hurricanes, storms, earthquakes, tornadoes, and fires can strike unexpectedly and destroy all data especially in places like Southwest Florida. Data-driven businesses ought to ensure that they have a data recovery plan before the disaster strikes so that they can resume their business operations with ease. Storing backups online in cloud storage systems is a prudent way of providing additional protection. By storing data in the cloud, businesses can provide excellent protection for their data. Still, a pertinent question that most business managers grapple with is how can their business enterprises benefit from migrating their workloads to the cloud. Well, there is a lot to love about moving to cloud infrastructure. It offers greater flexibility, lowers overhead operations, and infrastructure cost. Much more, with the availability of the private and hybrid cloud options that provide control and transparency to an organization, there is no reason to fear cloud computing anymore. The benefits of cloud computing in the current business world cannot be overemphasized. It is clear that business enterprises are continuing to move their workloads and applications to the cloud. This is mainly so because they have appreciated the fact that in the event of a natural disaster, they don’t have to worry about losing volumes of data worth millions of dollars. The speed at which information is disseminated in the cloud is a major advantage. For instance, about 60% of the cloud-based enterprises are more likely to be satisfied with the speed of information dissemination than non-cloud-based companies. This is according to a report entitled “Cloud Analytics for the Larger Enterprise” released in June 2014 by the Aberdeen Group. If your business mainly communicates via emails, you are sentient about the drawbacks. Managing workflows and tracking approvals is time-consuming. Software-as-a-Service-based tools alleviate such kind of headaches so that your employees can work together more efficiently. It embodies features such as document sharing, and real-time editing makes working in a team seamless. Many people can work simultaneously on a single document without the need of maintaining multiple copies. As a result, whenever a person makes any changes to the document, they become instantly visible to everyone else. Prevention of data loss is important to both small and big businesses, in which case data loss can mean you are out of business pretty fast. For this reason, cloud-based services are indispensable. The company’s data are automatically backed up to a site where the files are protected in case the primary systems of the business suffer a power outage, gross human error, and natural catastrophe. You may be wondering how your business can migrate from the traditional way of backing up your data to the cloud system. Just give SJC-Technology a call. Our team of experts can provide you with services that are scalable to your company’s needs at lower cost. The bottom line is that cloud-based services are indispensable in this day and era and the benefits of migrating to the cloud are indisputable. Therefore, your business can escape the fierce wrath of the Southwest Florida natural disasters. Cloud technology allows small business to scale their computing solutions as the firms grow. The stress of having to forecast how many servers you want to purchase is eliminated. You will no longer experience the stress of trying to expand space by deleting some items to give way to other things. Cloud providers offer ample space. Moreover, the platforms are significantly scalable which is advantageous in dealing with the continually fluctuating storage in the IT field. Before the introduction of cloud, most industries were wasting a lot of time in upgrading servers and creating space, but now, it is an issue that can be managed right on the spot. This feature improves operations thus increasing production. Shifting to the cloud allows you as a small business owner to cut your operational expenses and increase the efficiency of your resources. It also provides for minimization of equipment cost and costs used on paying staffs. Cloud providers will handle all security updates, therefore, no need to hire extra staff to do the job. 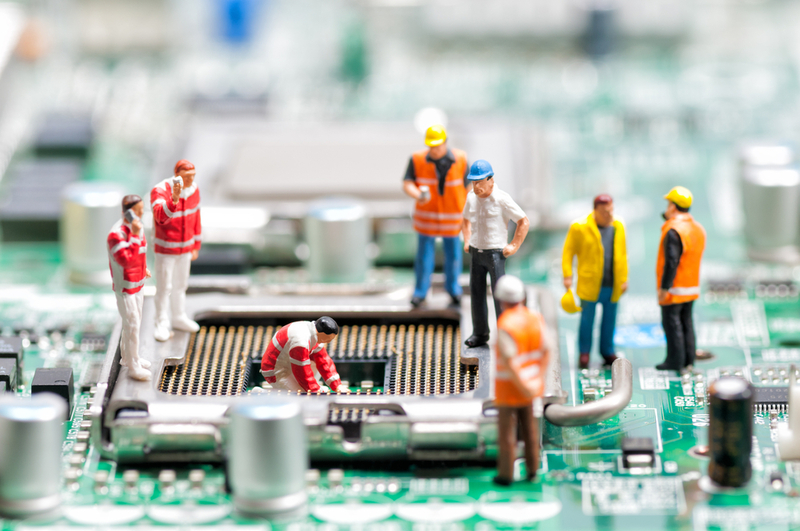 The total cost is only a fraction of the amount you spend on onsite IT services since you will just need to pay a specific fixed monthly fee unlike the onsite where you have to pay every time there is a breakdown. Cloud servers are housed offsite, and the saved money can be used for the business’ system upkeep. In a scenario where your workers want to work from home with their computers or in a case where they want to share files across the globe, the cloud makes it easy for them. It allows business to access business documents easily from any place and share it with many users easily. Flexibility is also enhanced with the excellent sharing capabilities and unlimited spaces ensuring that businesses are connected at all times. Flexibility improves the performance of the company without any restrictions. Businesses involve a lot of sensitive data and confidential information which you would not want to be leaked. Storing this kind of data on a cloud platform could feel risky, but actually, it is very secured and reliable. You can trust it as it minimizes any possibility of hacking and data theft because it is stored safely away from the device. It is encrypted with a password, and only authorized individuals can access it to ensure that all stored data is protected. Shifting to the cloud creates more opportunities for easy integration for small businesses. As a small business owner, you should take advantage of the specialized services and benefits you get by moving to the cloud. It helps you concentrate on other areas of your business leaving IT-related issues on capable hands. This in return increases your production, saves costs and enhances flexibility thus helping your firm to grow at a high rate. As a digitally active business, the last thing you want is to lose data. Whether it’s at the hand of cyber attack, human error, or natural disaster, data loss is extremely risky and costly. That explains why your business requires a backup as well as a disaster recovery solution. The combination of disaster recovery and data backup solutions helps to maximize productivity, diminish data loss, and ensure uptime in the midst of natural disasters (which are very common in Florida), attacks, or other compromising situations. https://sjctech.com/wp-content/uploads/2017/12/data-backup-and-recovery.jpgAccording to Security Week’s research, the volume of data loss at an enterprise level has escalated to over 400% in the past several years. Unfortunately, the trend doesn’t appear to slow down anytime soon. Presently, with the upsurge of big data, BYOD policies at the workplace, and cloud computing, it’s turning out to be challenging for business enterprises to protect their data. Evidently, everything seems to point to why businesses need a data backup and recovery plan. 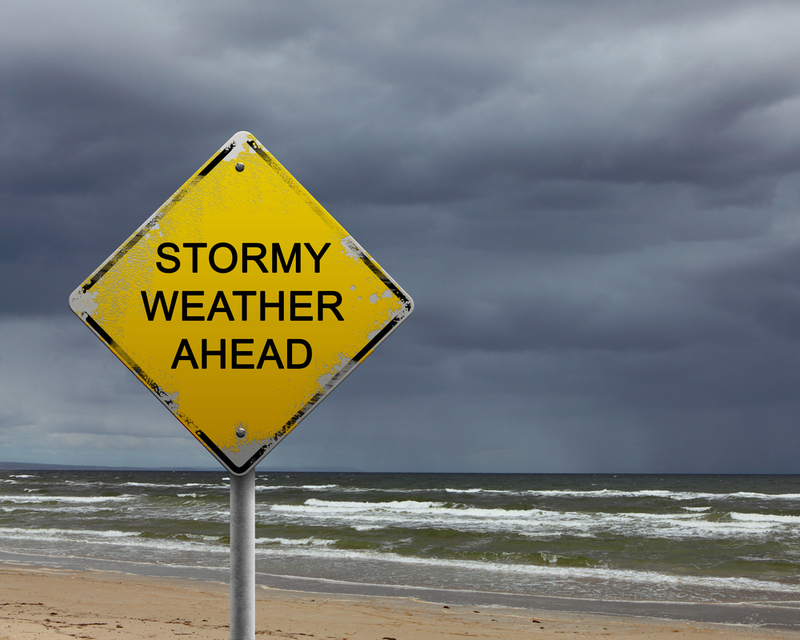 Whether it’s a blizzard, hurricane, earthquake, flood, or any other extreme natural disaster, a variety of uncontrollable circumstances can cause a business to experience downtime. The National Archives and Records Administration opines that over 90% of firms that experience around 7 days of downtime shut down business operations within a year. While having a plan won’t prevent natural disasters from taking place, it’ll be handy at not only protecting your data but also making sure that data center downtime doesn’t harm your company. Just imagine for a minute you lose irreplaceable data! How would your clients feel? Such a situation is embarrassing. It can ruin your hard-earned reputation big time. Loss of data can leave your clients not only nervous but also irritated, perhaps even annoyed to cancel business with you. Losing data affects the way clients view you. They feel as though you’re incapable of protecting their data. To avoid this embarrassing and unprofessional situation, it’s prudent have a data backup and recovery plan. As more data is moved online, cyber criminals escalate their efforts and focus on enterprises they believe are unprotected. In most instances, it means many businesses, especially the small ones become vulnerable. By having a plan in place, businesses can be able to reduce the impact of attacks. It goes miles to prevent companies from losing their valuable data. Businesses store plenty of valuable customer data. As such, companies can’t afford to lose such confidential data. Additionally, they can’t let it slip to get into the wrong hands. By setting up an effective plan, you’ll be able to properly control and store your data. Consequently, damaging your brand reputation is the last thing you’ll have to be worried about. If you desire to not only grow your business but also increase efficiency, you must have a data backup and recovery plan. When was the last thing you reviewed your data backup system? Have you ascertained whether it’s the right one for the company of late? Having an effective data backup and recovery plan is highly important for business in Southwest Florida. The above are some of the reasons you need to have a plan in place. Does anything tie up your mental bandwidth, money, and time much like technology? You did not start your business to spend every day dealing with complexities of networks, software, computers, and other gadgets necessary to run it. You can alleviate all these problems with cloud computing. By investing in the perfect combination of cloud services and software helps to streamline daily operations, improve your bottom line and tighten security. The other beauty of moving your business to the cloud is that you can access your apps and services on any device from anywhere. 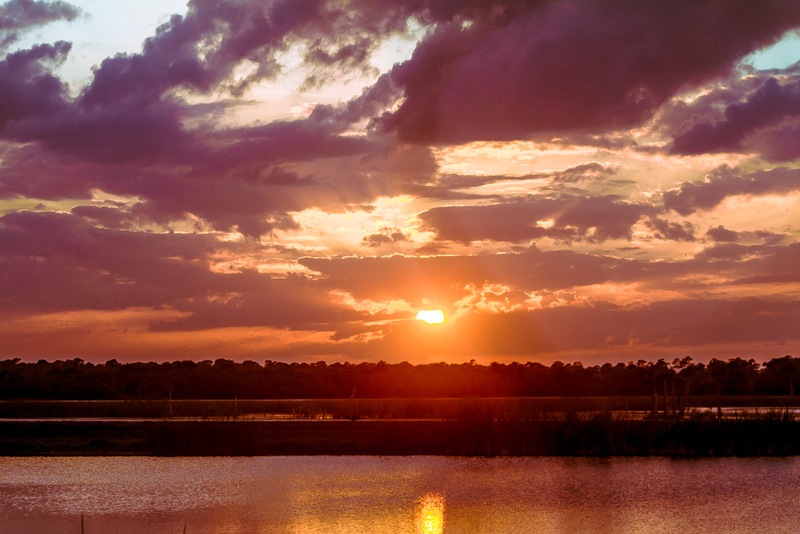 Florida, the Sunshine State, is home to numerous natural disasters. Floods, wildfires, tornadoes, tropical depressions, tropical storms, and hurricanes frequently affect residents and visitors of Florida. The last thing you want is your business to come to a halt when an important contract or document is inside a cabinet within your red-zoned office. To improve the resilience of your business throughout the countless natural disasters in Florida, it’s prudent to move your IT system to the cloud. Rather than waiting for disaster to strike for you realize the significance of going digital, you need to plan ahead. By shifting your operations to the cloud, all you need to do is snap and you are in your office. It doesn’t matter whether you’re on a beach in the Bahamas, or having fun in Las Vegas, when your system is in the cloud, everything is a walk in the park. Collaborating with your employees or colleagues becomes effortless since all operations are online. It goes miles to make your life easier. Your location geographically doesn’t need to affect your business progress or ideas when you have your business operations are on the cloud. You can be on another part of the world, or just in the next office cubicle, it doesn’t matter, everything will work out perfectly. You can access your business operations using any device. Failure to secure your business operations and files effectively can cost you dearly. Even if your business is small, data loss prevention is of utmost importance. Cloud services are indispensable. Storing your data in a cloud based software guarantees protection from offsite breaches like in-house judgment and negligent employee (s). Are you thinking about physical security? Just picture your server securely stored in a storage room or inside a closet? Can your office cleaner manage to plug in a USB stick? To guarantee security, cloud providers provide 24/7 security personnel and a fully-managed Tier 4 data center featuring multiple locked doors. Business-class providers typically offer comprehensive security that ranges from malware protection and anti-virus to sophisticated data encryption and features that address compliance standards like PCI and HIPAA. Software licensing, cooling costs, upgrading of servers, maintenance of servers, and the space servers take up etc all cost money. This is in addition to the bill shock or clutter when emergency upgrades come calling. Instead of using this money to pay for these costs, you can reinvest it into your business. The best attribute about cloud service providers is the fact that they provide pay-per-user plans, which you can scale, based on the needs of your business. By shifting your business operations to a cloud-based service, you’ll be able to either reduce costs or shift them to a constant monthly fee. 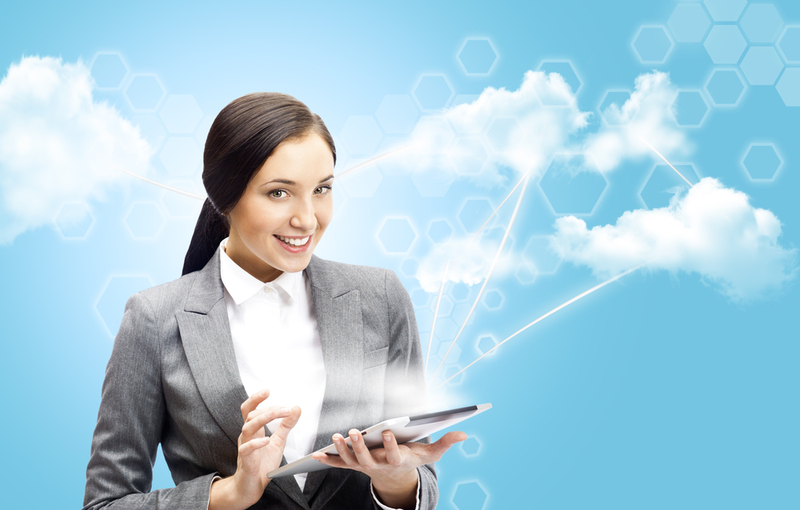 Cloud computing has helped many businesses in an array of ways. That explains why many businesses are shifting to the cloud. In fact, 37% of small business in the United States have adapted fully to cloud computing. In future, more and more businesses will join the fray. The above are the top 4 reasons you didn’t think of to move your business to the cloud. 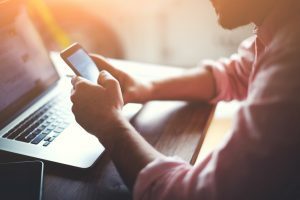 Technology has come a long way, and sometimes it seems like you need a computer technology degree to run a business these days, However, there are many other options a business owner can choose to make sure their business is running smoothly and efficiently using the latest technology available. When you run a business, you don’t need to be an expert on every aspect of your business. You just need to know how to hire people who are experts in what you want them to do. 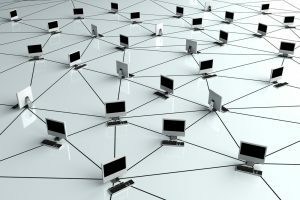 If your business is utilizing a complex computer network, then you should hire an expert that can provide you active network monitoring. https://sjctech.com/wp-content/uploads/2017/11/SWFL-active-network-monitoring.jpgYou wouldn’t buy a car and not have it serviced. So I am assuming you understand that a computer network will need servicing as well. Active network monitoring is a component of your computer networks servicing. It monitors your network to see what problems are going to happen and allows them to be fixed before you actually have a problem. Imagine if your car had that type of service plan. Active network monitoring can see if a component of your network is giving errors, or running improperly, and sometimes can make fixes remotely. If those fixes don’t work, it can back up that system and flag it for replacement before there is a problem that will really cost you. 43% of cyber attacks target small businesses. This is a dramatic increase over the past few years, and it will probably continue to go up. There are many types of cyber attacks. Some cyber attacks hack into your network to try to steal information, credit card records, customer lists, etc. Some cyber attacks break into your network to try to use your network to power other nefarious activities. Some cyber attacks simps want to crash your network. No matter what type of cyber attack your may face (and chances are, you will face one), active network monitoring can see the attack as soon as it starts, and make adjustments to make sure your network is not compromised. Whether it is by reducing downtime, improving productivity, or stoping cyber attacks, active network monitoring will save you money. If you have a business in Southwest Florida that relies utilizes a computer network, the SJC active network monitoring can keep your network running optimally. Give us a call today and let us tell you how we can make your business run more smoothly. These days, many small businesses are looking for ways to cut costs. There is an old saying that “A penny saved is twice got”. VOIP is a great way to save a lot more then a penny. But what is VOIP? VOIP stands for Voice Over Internet Protocol”. What this means is that with a VOIP system, you are using the internet to make phone calls instead of a traditional telephone service over copper wires. https://sjctech.com/wp-content/uploads/2017/11/VOIP-for-your-SWFL-business.jpgVOIP services usually have a much lower cost for both domestic and international calls. They also require less expense in setting up and wiring for a multi line phone system. Another benefit of VOIP phone systems is that they usually come with options that cost extra when using traditional phone services. 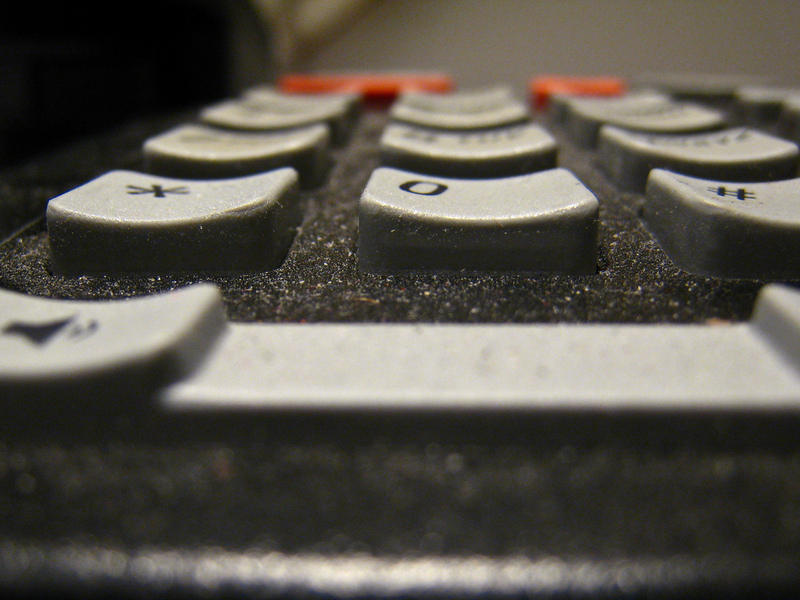 How much can you save with VOIP services? According to a Tech.Co study, you can cut initial costs for a business phone system by up to 90%, and you can reduce the cost of calls by around 40%. That is more then a few pennies got. Most VOIP systems have video calls, conference calls, and even video conference calls included in their service. This helps you make sure your team is on the same page even when they are not in the same building. In addition, with many VOIP services, you can log into your account and use your service even when you are not at the office. This means you can make and receive calls from your office number using your tablet or laptop when you are out of town. You can even access your voicemails from other devices, and in some VOIP services will transcribe your voicemails and send them to you as emails or text messages. We can’t emphasize enough the amazing features you get with VOIP at substantially cheaper rates then you get with a real phone service. Many systems also have a “Find me / Follow me” call routing system where the VOIP system will forward your calls to a list of other numbers before sending the caller to voice mail. For example, you may have your office phone ring twice, then on the third ring, your home phone will ring, and then on the fifth ring, the call will go to your cell phone. If you don’t answer any of them, the call will go to voicemail that can then be transcribed and texted or emailed to you. Inbound / outbound call detail reports are another great feature of some managed VOIP systems. Data is important to running a small business, and your VOIP system can send you detailed reports that let you view details of your call history, including rate centers, duration, originator, destination, and cost. 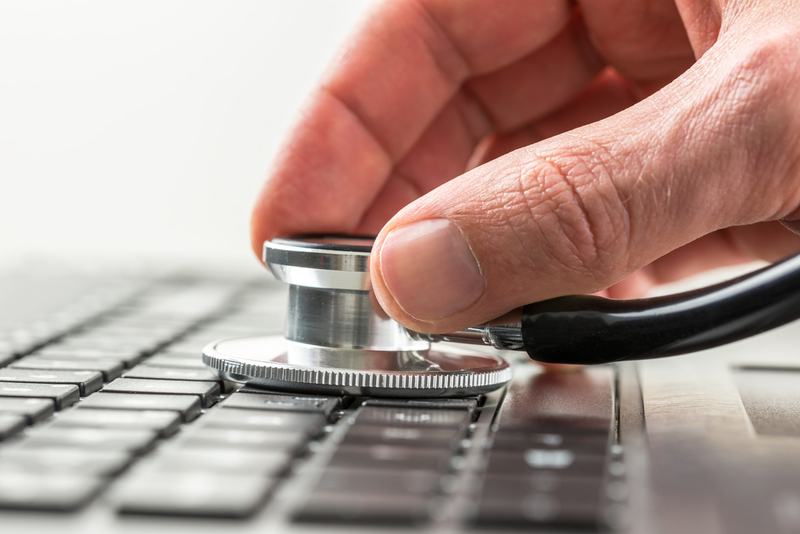 Advanced call screening is an often overlooked feature of a good VOIP system. You can set up your system to automatically forward certain callers (like your spouse) to your cell phone, or forward other callers (like a nagging salesman) to voicemail. Most VOIP systems will also have an auto attendant that allows callers to choose from extensions when calling in a main number (to talk to Bob, press 001…) and hold music which is shown to reduce clients hanging up when on hold. If you want to save some money while bring your SWFL small business into the future of communications, call SJC Tech and we can go over with you all the options you may need to make you and your team more productive for less money. Things used to be so much easier, right? You had a cash register, a calculator, and a typewriter to do business. What else did you need. Then came the computer. In all honesty, computers have made things easier, and they do so much more then we used to be able to do without them. That doesn’t stop them from being a bit of a pain though. Especially when you have a good sized computer network at your business to deal with. That is why smart business owners contract Network Monitoring to qualified vendors. Here are some other reasons you should consider calling SJC Technology to actively monitor your network. Outsourcing your network monitoring gives your SWFL business 24/7 access to highly trained IT professionals who monitor your network, detect problems and fix them. In many cases, this is done before you even know there is a problem. Network monitoring allows these professionals to see every device on your network, and the connections between them. They can monitor availability, packet loss, response time, traffic, error rates and more. This allows them to detect problems in your system before the cause an interruption. The average cost of a data breach, according to IBM’s 2016 Ponemon Cost of Data Breach Study, is around $4 million. Recent reports state that over 50% of US businesses have suffered some sort of intrusion attempt in the past year. You may think your business is not a target for hackers, but many hackers target small businesses under the premise that they are likely not equipped to handle a security breach. Professional network monitoring don’t just keep an eye out for hardware and software issues, it also monitors the source and nature of all traffic to your network. By monitoring this traffic, it becomes easy to spot suspicious changes to inbound and outbound traffic and allows you to quickly nullify malicious activity. In addition, network monitoring allows you to see and patch the holes in your networks security to prevent future intrusion attempts. Let’s face it, network downtime affects your bottom line. Not only does it affect your companies reputation in the marketplace, and client satisfaction, but it also affects the productivity levels of your staff. If your network is working at optimal performance levels, your staff can get more done in less time. This saves you money as well as increasing customer satisfaction which earns you money. Let’s face it, outsourcing your network monitoring will have a positive impact on your financial situation. It isn’t always easy for us to predict when and how our business will grow, although we do know it will grow. Proper network monitoring allows you to see the increase loads on certain systems as well as increased traffic. This allows you to better judge the growth needs of your business, and allows you to implement the needed changes to ensure that you can properly cope with that growth. In simple terms, Hiring professional Network Monitoring from SJC Technology is about making sure your business is able to run smoothly, and grow even more smoothly. Give SJC Technology a call today and we can talk about your needs and come up with a plan that fits those needs and your budget. I think we are all tired of hearing about clouds. Especially those big ones that spin around in a circle and have an eye. 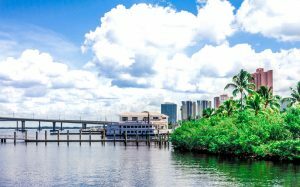 But unfortunately, hurricanes are a part of life in southwest Florida, and events like Hurricane Irma are a strong reminder of why you need to move your business data to the cloud. Now I say “strong reminder” because the hurricane itself isn’t the threat to your business data. If that was the case, then we wouldn’t be overly worried. I mean hurricane Irma was bad, but that was the first bad hit we have had since Charley 10 years ago. If we only had to worry about a bad storm every decade or so, then maybe it wouldn’t be such a big deal. But then again, we did get 18 inches of rain and major flooding just a few weeks before Hurricane Irma, and that wasn’t even a tropical storm. That was just a bad summer storm. The truth of the matter is that your computer systems have a few major weaknesses. Your office computers run on electricity. When the power goes out, your machines turn off. And if the power is off for weeks, it becomes difficult to do your job. But it isn’t just power outages you need to worry about. 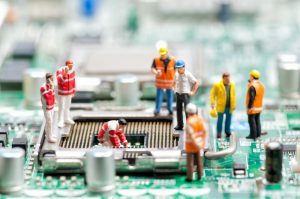 Your computers circuit boards are made up of thousands of small leads that can easily break if too much power goes through them. Power surges from lightning can destroy your machines and cause major problems with your operations. I’m sure you are well aware that it doesn’t take a hurricane to cause power outages, or to bring lightning. 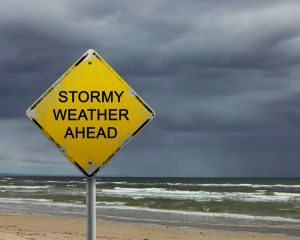 Thunderstorms can be a daily occurrence during some parts of the year, and power outages are all to common in southwest Florida. Moving your data to the cloud allows you to make sure your data is available to you at all times. Whether the power is on at your office or not. Data in the cloud is backed up, and always available. Nothing electrical likes water. Yet in southwest Florida, we have water all around us. And whether it is a hurricane, or just a strong storm, flooding can happen anytime. If your office computers suffer water damage, you can loose everything. Just a little bit of water can wreck a computer, so imagine what the type of flooding we have seen in the past couple months can do. Moving your data to the cloud is a great way to protect your sensitive information from the elements, and will allow you to continue to access your data even if your office looks more like a swimming pool. Computers generate a lot of heat, but they don’t like heat that much. And in southwest Florida, we have a lot of heat… heat, and humidity (moisture). That is a combination computers really don’t like. Even if you have a back up generator to keep your office computers running during power outages, if your air conditioner isn’t running as well, you will likely have overheating problems. 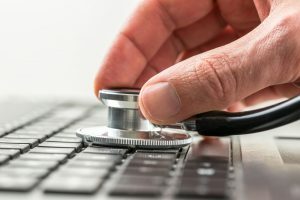 Even if there is no storm or power outage, if your air conditioner goes out, your computers will have problems. Like many people in southwest Florida, computers are not very reliable when the AC doesn’t work. The bottom line is your data is too valuable to leave to the southwest Florida weather. Moving your data to the cloud not only safe guards it from heat, rain and lightning, it also gives you access to the data from anywhere and any device. Even if you evacuate for the storm, you can still access your data from the cloud. That let’s you continue to do business in any circumstances. Contact SJC Technology today and we can help you move your business data to the cloud.